Droid VPN is a Philippines-based provider that caters mostly to Android users. They recently launched a PC version, and the developers are now working on the Mac and Linux clients, according to Droid’s FAQs. Their target audience, nonetheless, remains Android users looking for free VPNs for basic browsing purposes. If you assess the service from that perspective, it probably delivers. Seven server locations and one connection per account seem like a very modest offer but it’s free and it works. But if your mark is significantly higher, there is nothing here, at least for now. 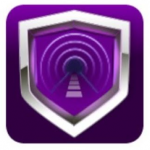 Droid VPN offers a free VPN service, and four paid plans - $4.99 monthly, $13.99 quarterly, $23.95 semi-annual, and $35.88 annual subscriptions. 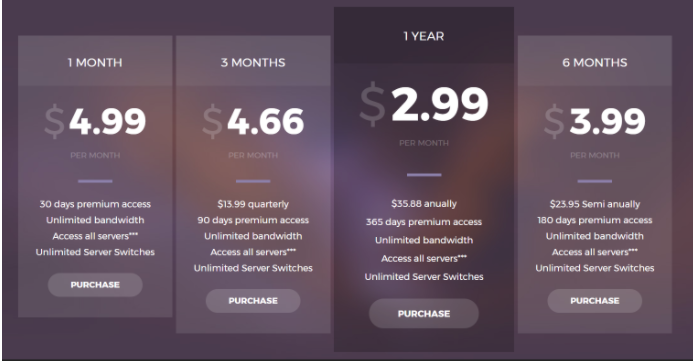 The premium packs feature unlimited bandwidth, access to all servers, and unlimited server switches. P2P seems to be allowed, but the provider does not condone copyright infringement. You want to read their ToS if torrenting is on your mind. The provider also offers a 7-day money-back guarantee, which comes with quite restricting bandwidth limits. The free plan has 200 MB per day bandwidth limit and lets you use two free servers (in the USA, and France), and I strongly recommend that you try the free plan before subscribing to anything here. Performance might disappoint you. Signing up is a straightforward process, but be ready to provide your email and activate your account. Droid VPN only accepts payment via PayPal, Perfect Money and Google Play in-app purchases. Note: you can only connect one device per account; no simultaneous connections are allowed. Droid VPN currently supports Android and Windows, and I tried my luck with both platforms. The PC client requires no installation, but you need to take a mental note of where you download it because there’ll be no icon on your desktop. 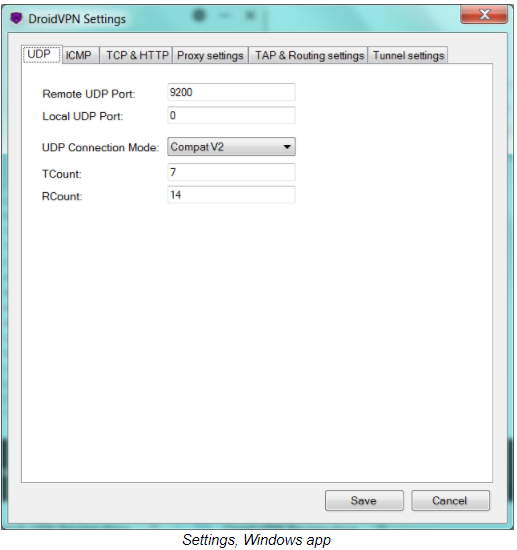 There are several tabs for settings, where you can switch between UDP, TCP, ICMP, and HTTP, check the list of servers, and view the live connection log. Even though the PC client is well-designed and easy-to-use, its performance is sub-par. Unfortunately, the connection drops frequently, and when it does, there is no notification. So I would continue browsing unprotected without realizing the VPN dropped out. I tried troubleshooting, and weeded through scarce FAQs and blog, but found no clue on how to remedy the issue. On several occasions, the client reported the servers were overloaded. One of the blog posts suggests users have been reporting issues with UDP, but I’ve tried every protocol with the identical outcome. Their support is available via email, so immediate help was unavailable. I’ll be updating the review if I ever get the client to work consistently. The Android version is available as a direct download from Google Play as well as an APK download from the developer’s website. The app requires permission to access your IAPs, device and app history, photos, media, and files, WiFi connection and device ID and call information. The Android version worked so much smoother than the PC one, experiencing no disconnections or other hiccups whatsoever. 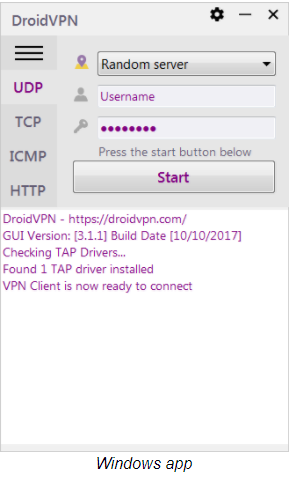 ​Droid VPN tries to offer something that other VPNs don’t have, such as the ability to tunnel your traffic through Internet Control Message Protocol (ICMP). On Android, ICMP will only work for rooted devices, however. 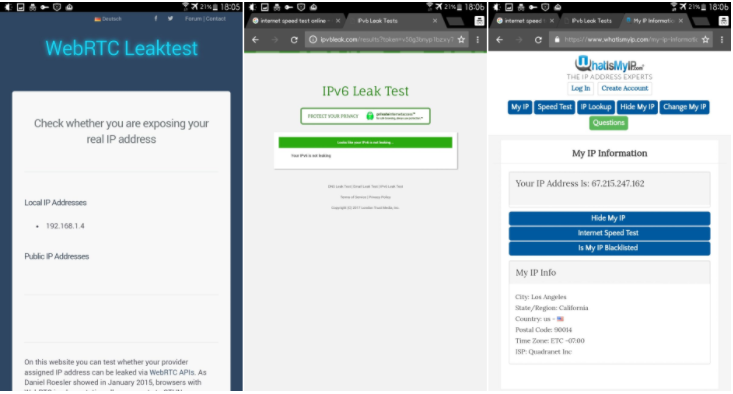 Otherwise, Droid VPN defaults to OpenVPN protocols such as UDP. That said, ICMP is hardly enough of a lure to commit to a paid plan. The Android version has ample settings for VPN connection, proxy, UDP, TCP, HTTP, and some miscellaneous stuff. The bad news is I wasn’t able to locate a kill switch behind all that wealth of controls. There is a toggle to auto-reconnect, presumably for cases when your VPN connection drops out, but that’s about it. The Android version was quite capable in my performance tests. It slowed my connection speed by less than a third, which is an above-average result. 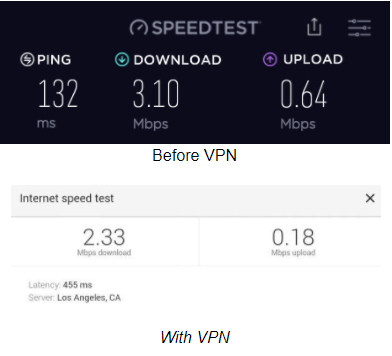 Even though speed does not seem to be an issue with Droid VPN, it failed to bypass Netflix VPN guards, which is no surprise – very few VPN providers can boast of such a capability these days. On the bright side, if your problem is local censorship affecting popular services like YouTube, Spotify or Skype – Droid VPN seems like a good fit. The provider explicitly states that they can filter the content you access on the Internet if they believe it’s harmful or illegal. This brings up the issue of monitoring and censorship, which is exactly what most people want to bypass with the help of a VPN in the first place. Droid VPN will hand over your data, including your payment details, to law enforcement if there’s a warrant, and you are strongly advised not to engage in illegal torrenting. To be fair, Droid VPN does offer a handful of servers marked as P2P – for legal file-sharing. Interestingly, the provider doesn’t disclose much on the technology under the hood of its VPN, which is never a good sign. Whenever VPN providers deploy solid encryption, they put it front and center. With Droid VPN, you get the regular dose of ad slogans – anonymous browsing, easy to use, fast connection. I would only recommend Droid VPN if you use a VPN occasionally and for purposes that do not require watertight privacy or security. It works on mobile, but it stutters and disconnects on desktop, so I wouldn’t recommend their PC version at all. Droid VPN is modestly priced, but because it only allows one connection per account and has a very limiting refund policy, I strongly recommend that you try their free service first. If it doesn’t meet your requirements, you will lose nothing.